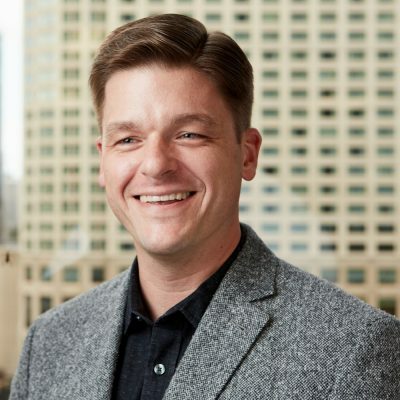 Adam Robinson is the co-founder and CEO of Hireology, driving his mission to help business owners make better hiring decisions using predictive data and innovative technology. With more than 20 years of experience, Adam is a noted recruiting industry expert and speaker. He is the author of The Best Team Wins: Build Your Business Through Predictive Hiring, host of The Best Team Wins Podcast, and columnist for Inc.
Adam has been named a finalist for Entrepreneur of the Year by Ernst&Young, added to the Chicago Tribune’s Blue Sky Network of Chicago’s top innovators, listed in the Chicago Tech50 by Crain’s Chicago Business, and named a “Top 25 HR Industry Game Changer Under 40” in 2015 by Workforce magazine. Under his leadership, Hireology was listed at #94 on the Inc. 5000 list of America’s fastest-growing private companies in 2016 and listed at #332 in 2017. Hireology has been recognized nationally as a “Top 50 Best Workplace” by Inc. magazine and a “Top Company Culture” by Entrepreneur magazine. Hireology was named the “#1 Talent Management Platform” in 2014, 2015, 2016, 2017 and “#1 in Customer Service” in 2013, 2014, 2015, 2016, and 2017 by Human Resources Online magazine. Adam is passionate about entrepreneurship, donating time to a number of organizations that support the entrepreneurial cause. Through multiple leadership roles at Entrepreneurs Organization, he has helped to develop and launch programs that teach core business skills to early-stage entrepreneurs around the world. Adam has a BA from the University of Illinois at Urbana-Champaign, and received his MBA from DePaul University. He’s a member of the Economic Club of Chicago and lives with his family in Chicago, Illinois.